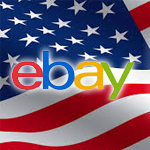 Are you a seller on eBay India who feels that there is a good chance that your products can sell internationally? Well then, you need to start selling your products on eBay’s international site. We understand that the procedure to set up shop on the International site is a tedious affair. To make your life simpler, we are giving you a step-by-step way to list your products on eBay’s global sites (.com, .co.uk, etc.). 1. Indian sellers need to have a PayPal account. PayPal is a popular digital payment system which is used by marketplaces all over the world. It simplifies the whole process of payments. However, in India, PayPal users have restrictions. You can read more about this here. 2. After you have created your PayPal account, you need to link it to your bank account. The above link also has information on how to go about doing this. 3. You can use your eBay india account to login to the .com (and .co.uk) site but we recommend that you open a new ebay.com account. We are saying this because feedback from your Indian customers would show up on your international product listings and the customer mindset varies in these countries compared to India. It is best to keep both your accounts separate. 4. After doing this, you will have to inform eBay India about this new account and wait for them to enable the account, failing which your account won’t be activated and thus your items won’t be listed. 5. You will then have to link the ebay.com account you have created to Paypal. After you have done this, your listings will be enabled. 6. When it comes to Shipping, you could choose eBay’s CBT shipment agreement or you could choose your own logistics partner. We would recommend that you go with the CBT shipping program if you are doing this for the first time. 7. The CBT shipment partner for eBay in India is Fedex. You can look up their delivery rates by going to this link. By agreeing to the CBT shipping program, you will have to pay for shipping to eBay’s facilities. Like we mentioned earlier, you are free to use your courier services if it makes financial sense to you. 8. Once all this has been done, you can start listing and selling your products on eBay.com. However, the number of products that you can list will be limited to 10. 3. Purchase bill (This is needed in order to prove that you own your products). This is a one time verification. 10. After you have done this and it reflects in eBay’s system, your listing limit will increase to 150 items. If you want to sell more items, you will have to get in touch with eBay India to increase the listing limit. That’s it. 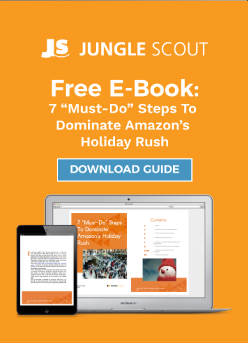 Follow all the steps and you could go ahead and sell your products to global customers. We hope you found this information useful. If you have done this before, do let us know how your experience has been in the comments. If you are a reseller on Ebay.in , do you need to be registered as a company or can an individual re sell products? just call courierbird.com on 9158034095 they do all selling help for you for free if you use their courier service. Did you get a person to open your shop ?? Everything is fine except shipping. I meant i can’t understand how to use this CBT SHIPMENT. I can’t find CBT SHIPMENT AGREEMENT. Hi Vishal, the article above is talking about the same procedure. plz can u tell me that can i sell indian bindis on ebay website in international market. I am an Indian and i want to sell my products from India only, in worldwide. Riya, you could sell bindis but shipping costs might come in the way of sales, considering the price range of bindis. Thanks for giving such useful information. This helps me a lot but I want to know that if I sell Indian Bindis on Ebay from India, in International Market than can I send my order through Indian Registered Post and then afterwards by ship. Please reply me fast. I am waiting for your response. Priyanka, the shipping costs involved might not make your returns worthwhile. Can anyone suggest me a cheap international courier? I need to ship items less than 500grams. How to send the product abroad. Is it require export licence .. I would like to sell food items… please advise me the documents required to sell abroad..
i want to sell my product on ebay .com .i would like to sell my hand made items in india n abroad.how to sell my product let me know. It was definitely informative. Your sitge is useful. matter is at initial phase eBay.com encourage you for selling, but they hide fees structure, I enquired to eBay.com, it says its our policy …so choice is yours…if you want success, choose such lucarative products, not like 200500 INR items,, because the total cost will be double …its easy for dreaming, tough for real implementation, not impossible though….vision smart planning financial logic best product ways of marketing == success. !!! which paypal account type i should use to sell on ebay whether personal or business? I am selling on ebay.in but in this time i know how to sell my products to ebay.com. my mob no is 9811415599.
let me know how many account register on ebay.com from same ID proof address and same computer/laptop mac address? In short it is possible to handle more then one account from same system(Computer)on ebay.com? Ya you can, but you have to use diff. laptop/computer to register after registration u can handle 2 or more ac. Through anyone device. If I want to sell Product on eBay.com it require VAT or TIN number or any other legal document? ?